Almost 130 years after Lady Liberty first graced New York Harbor, the tired, poor, huddled masses still remain, and it is for each generation to encounter and remedy the realities of poverty, inequality, and the denial of basic civil and human rights. 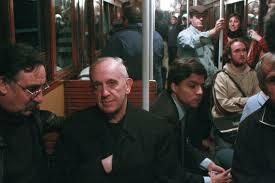 After this long introduction, what do I think Pope Francis should do? Do as he has done countless times before in Buenos Aires and Rome, and go out into the streets of New York in search of our huddled masses. Accompany them. Let them know that they are not alone and that God has not forgotten them. Remind them of their dreams for their lives when the cynicism has overwhelmed them. The Community of Sant’Egidio that you know well from Buenos Aires and Rome is here in New York and we are very excited to show you this underground life, hidden or willfully unseen by many as we visit the homeless around Grand Central Terminal and Bryant Park. The homeless here are always forced on their way, avoiding a sometimes hellish shelter system, they eke out an often solitary existence, sleeping whenever they can while people pass them on the street, often seeking refuge on the city’s mass transportation system. 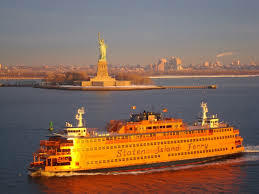 Perhaps one early morning before sunrise, Pope Francis, you can view Lady Liberty the way immigrants of old and many homeless today see her: from the waters of New York Harbor. If you can manage to pass unrecognized aboard the (free!) Staten Island Ferry, in the quiet rocking of the waters you may keep company with the few homeless seeking a half-hour’s respite hidden among the commuters so that, as the orange light that rises behind Brooklyn and onto the city, it might break on the Mother of Exiles and the Bishop of Rome accompanying the homeless, letting them know they are not far from the heart of God. And then tell us about it: give us the eyes to see our own city and people anew, to hate the violence of poverty and inequality, and remind us how to love so that others may be truly free.